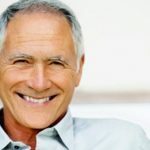 In the following article, we look at the benefits and limitations of using Invisalign braces to help correct teeth misalignment. Invisalign braces are different from more traditional metal braces, but the end goal of either treatment is to correct the improper positioning of your teeth, whether for practical or aesthetic reasons. Call Savina Clinic today on (+356) 2165 7323 (Malta) / (+356) 2155 7323 (Gozo) for any urgent Invisalign Braces treatment questions or booking requests. Invisalign braces refer to an orthodontic option where a person wears removable trays that help to straighten the teeth without the need of metal braces. Invisalign involves wearing a different set of plastic aligners every two weeks that are custom made and clear, to help gradually shift your teeth into their right position. Today, Invisalign braces have positively impacted the Orthodontics world, where patients now have various orthodontic options without the need to wear the more traditional and less aesthetically looking braces. Savina Dental Clinics have been certified by Invisalign since 2003 and have treated an extensive number and range of orthodontic problems with the Invisalign system. Unlike traditional metal braces which interfere with flossing and brushing, Invisalign braces are removable making it easier for you to clean your teeth. 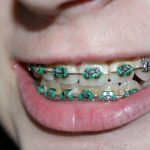 Some people may be conscious of smiling while wearing metal braces. However, wearing Invisalign braces will give you the confidence to smile both in private and in public due to their transparent nature. With Invisalign braces, you also have the option to remove them if you want to enjoy special occasions without feeling encumbered by the teeth straightening dental trays. However, remember to put them back in as soon as possible to ensure the fastest treatment times. Because Invisalign braces are virtually invisible, no one will notice that you are undergoing orthodontic treatment. Hence, Invisalign braces have an aesthetic beauty which is not associated with metal braces. Invisalign braces are designed to be smooth and fit snugly over your teeth without irritating your gums. During your orthodontic treatment, the primary goal of the Invisalign braces is to move your teeth into their proper spaces so that you can have straightened and healthier teeth. Before you start your treatment, your dentist or orthodontist will evaluate your teeth so that they can know whether Invisalign is your right treatment option. If your dental prognosis is determined to be too severe, then Invisalign braces will not be the right treatment for you. Instead, you will have to use more advanced treatment options. If you are deemed a good candidate for Invisalign treatment, your dentist or orthodontist will take X-rays and digital photos of your teeth so that they can customise your aligners. Once they are finished customising your aligners you will need to go to your dentist/orthodontist to go over your treatment plan, where you will be able to see the progress your teeth will make on a fortnightly basis as well as the finished result before you actually commence treatment. Your dentist will also be able to tell you, with pinpoint accuracy how long the treatment will take. 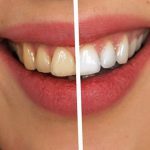 They will also instruct you on how to properly wear Invisalign braces, how often you need to change your aligners, how you should clean them and when you should go back to them during your treatment. Typically, you will need to change your Invisalign braces every two weeks and visit your orthodontist every six weeks to 8 weeks. 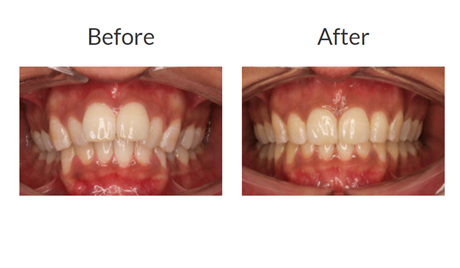 Once your teeth have been properly aligned using the Invisalign braces, you will go through the maintenance stage. This involves using a dental retainer for a certain amount of time so that your teeth can stay in their new alignment. Are you a suitable candidate for Invisalign braces? 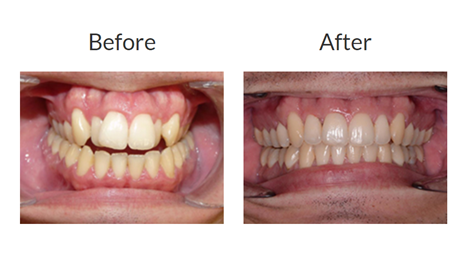 Thankfully many cases can be treated with Invisalign treatment ranging from mild to medium complexity. This condition happens as a result of abnormal growth of the jawbone. Also, if you have missing teeth, it can lead to a shift of your teeth to the surrounding spaces. This will lead to gaps in your teeth. This is the opposite of gapped teeth, where there is not enough space in your mouth to hold all your teeth. This, in turn, leads to crooked teeth. This occurs when there is abnormal growth of the jawbone or temporary condition associated with healthy growth and development of adult teeth. Widely spaced teeth may also be as a result of shifting teeth because of missing teeth. In layman’s term cross bite refers to a condition where your upper teeth fall inside your lower teeth when you bite down. 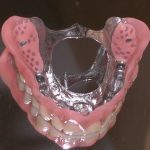 Cross bite may happen at the front of your mouth or the sides. Cross bite can be inherited from parents, or when the size of your jaws are mismatched. A deep bite happens when your teeth are improperly aligned. That is, your upper teeth are overlapping your lower teeth, while the lower incisors are touching the top gum. This can also be called an overbite. This is a condition where the lower jaw and teeth, protrudes in front of the upper teeth. Thumb sucking in children may lead to underbite while in adults, it can be inherited. 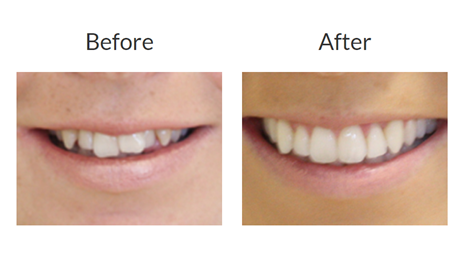 What is the cost of Invisalign braces in Malta? At Savina Dental Clinics, the cost of treatment depends on the complexity of the case and the number of follow up appointments required. Therefore to fully understand the true cost of the treatment, you will be required to book a consultation with our orthodontics specialist. You can book your appointment online by clicking here. Braces vs Invisalign: What are the main differences? You can use braces or Invisalign to straighten your teeth and to improve your smile. While braces have been used for many years, Invisalign treatment is a newer option. Braces use metal brackets that are glued to your teeth, then tied with rubber bands and wires. On the other hand, Invisalign braces consist of clear plastic that is smooth and teeth. Metal braces do not have the aesthetic beauty of Invisalign braces since they put more emphasis on function over beauty. Hence, metal braces are known to fix complex tooth problems and align severe cases faster compared to Invisalign. However, Invisalign is invisible and removable, unlike braces. Therefore, you can easily floss and brush your teeth when you use Invisalign treatment. The total treatment time for a patient using Invisalign ranges from 6 to 18 months while a patient wearing metal braces must leave them in place for 18 to 36 months. Your dentist or orthodontist will decide which is the best form of treatment for you, but the rule of thumb is that braces are more efficient in treating complex teeth problems, unlike Invisalign treatment which is more commonly used for more simple teeth misalignment problems. Braces also close teeth gaps faster compared to Invisalign treatment. If a patient has an abnormal bite, then braces are the best option. However, if you do not have unusual dental issues, you can use Invisalign treatment without compromising your lifestyle. It is usually more expensive compared to traditional treatment. Because Invisalign Aligners are removable, they will slow down your treatment if not worn for the recommended time. Invisalign aligners are comfortable to live with, and since they are removable, it won’t interfere with your lifestyle. However, make sure you wear them immediately after removing them for brushing or any other occasion. You are supposed to wear Invisalign aligners for 20 to 22 hours every day. Make sure you clean your aligners with lukewarm water and the cleaning kit. After every two weeks, you should change your Invisalign aligners and visit your orthodontist after 6 to 8 weeks. You should brush and floss your teeth twice daily. Oral hygiene is easier to maintain without brackets. Find more information about oral hygiene in our treatment guides section. Other than gum, you can eat whatever you wish as long as you remove your Invisalign aligners. You can engage with contact sports when you are using Invisalign braces. Clean your aligners the same way you would do with your teeth. Take them out every day, in the morning and evening and clean them. When you take them out, soak them in the cleaners as you eat. 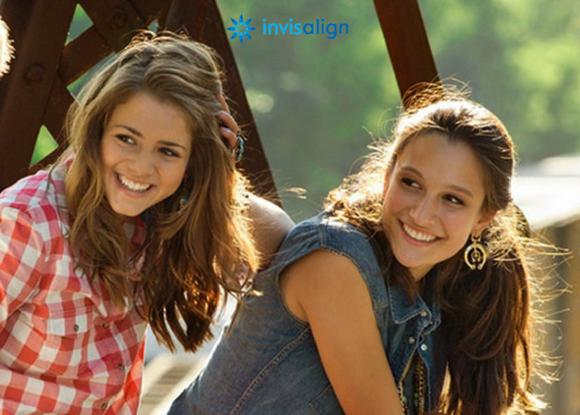 Invisalign for teenagers is a good option since they are clear and comfortable to wear. They will confidently smile like other teenagers as they continue benefitting from Invisalign treatment. Retainers are used after wearing Invisalign braces so that you can maintain your teeth in the new position. They will help keep your teeth in the correct alignment after treatment. Wearing retainers is a good way to prevent your teeth from shifting and protecting your investment after aligners. To ensure your teeth stay in the corrected position after using Invisalign braces, you must wear a retainer for up to 4 years after treatment. Initially, you wear the retainer for 20-22 hours a day (similar to the Invisalign braces) for up to six months after treatment and then at night time only while you sleep for another 42 months. In cases of severe crowding, retention might have to be even longer. Can you switch from regular braces to Invisalign? Yes, you can switch from regular braces to Invisalign. Invisalign was designed to serve as the best alternative for braces. It aligns your teeth gradually, allowing for a bimonthly swap out over the course of up to one year. So that it does not interfere with your social obligations, you can leave the clear aligners for 4 hours a day, whenever you want. 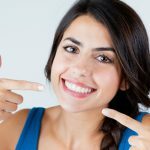 What are the costs of Invisalign for upper teeth only? The Invisalign treatment plan allows patients to pay a fair premium over the course of treatment. Payment options are varied, depending on the complexity of the condition. Costs don’t differ much from the price of braces. Please see our indicative pricing page or book an appointment for a tailored quote. Are Invisalign classed as “transparent teeth braces”? Yes, Invisalign braces are classed as “transparent” or “invisible” braces. While they may not be 100% invisible, the technology used ensures that most people can barely detect them. Should you use a dentist or orthodontist for Invisalign treatment? 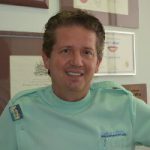 You should only use an orthodontist or a dentist that is an Invisalign certified practitioner. An Invisalign certified dentist will take you through the diagnostic process. We map out a treatment plan that factors the extent of the damage, and the estimated time it should take to attain the perfect smile successfully. Due to the proprietary technology we use, we advise that you only visit an Invisalign trained dentist or orthodontist for treatment. In 1997, Zia Chishti and Kelsey Wirth banded together and immediately went into the development of a technology that would change dentistry. They teamed up with Stanford University colleagues, Apostolos Lerios and Brian Freyburge, and secured a start-up capital from Kleiner Perkins Caufield. The following year, their brainchild, the Invisalign was approved for commercial sale. Since its inception, up to 5 million people have a reason to smile, courtesy of Align Technology (Invisalign parent company). If you would like to book an orthodontic or Invisalign braces consultation at Savina Dental, please book your appointment using this form. You can also read more about all the aesthetic dentistry treatments at Savina Dental Clinic or check out our customer testimonials section. For further information regarding Invisalign braces, please visit the Invisalign website.